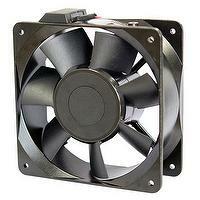 Activa Inc. is commited to the research & development of cooling fans & motors. Based on more than 20 years of experience in mold and component plastic injection manufacturing, SYM BANG has become a specialist manufacturer of exhaust fan through its advanced technology and full line of ventilation system. The most advanced testing facilities in the industry are continuously being utilized by our application engineers in conjunction with production engineers to push to the limit both designs and material to formulate the next generation of commercial ventilator fan. In addition to 100% on-line testing, SYM BANG performs periodic audits on each product to assure precise quality control. 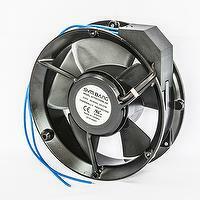 All SYM BANG fans are designed to meet the UL, CSA, TUV, CE & CUL requirements. SYM BANG had set up a quality assurance process standard for production and quality control. All SYM BANG products are subjected to a meticulous final inspection before delivery to customers. 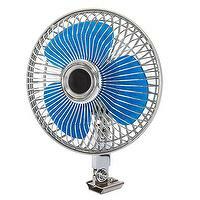 Our management's commitment to total quality control (TQC) makes SYM BANG's fans highly reliable and competitive. New products are added regularly. We are available for special design requirements and modifications of our existing product line. *Housing: Aluminum Die Casting, Painted Black *Impeller: Thermoplastic PBT, UL94V-0 *Bearing: Ball *Motor Type: AC Induction Capacitor Motor *Termination: Terminal or Lead wires *Operating Voltage range: 85VAC to 125VAC for 115V Type, 185VAC to 245VAC for 230V Type *Dielectric Strength: 1,500VAC for 1 second *Insulation: Class A *Insulation Resistance: 10M Ohms Min. @500VDC *Operating Temperature: -10oC to +70oC *Safety: Thermally Protected *Weight: 1800g *ROHS: Yes *Additional Function: FG, RD *Reference: http://www.activa.com.tw/products?language=en&sub_page=1&prod_id=42&cat_id=1 Applications: Power Supply Units Measuring Instruments Electronic Switch Systems Automatic Vending Machines Air-conditioning & Heating Apparatus Computers(CPU, Peripheral & Terminal Equipment) Medical Equipment Acoustic Equipment Flight Instrumentation Numerical Control(NC)Units Data Communications Terminal Equipment Office Machinery Appliances & Copying Machines Additional Special Function: 1.The output of 3rd wire Signal-Rotation Detector Function: Suffix basic part number with “-RD” or “RRD” for Rotation Detector Function. 2.The output of 3rd wire Signal-Frequency Generator Function: Suffix basic part number with “-FG” for Frequency Generator Function. 3.The output of 3rd wire Signal- PWM Control (Pulse Width Modulation) Function: Controls the fan speed automatically via an external input signal. 4.Suffix basic part number with“-PWM”for F PWM Control Function. 1. HOUSING: Metal / Aluminum 2. IMPELLER: Aluminum, diameter 40 mm 3. BEARING: Ball or Sleeve 4. OPERATING TEMPERATURE: Sleeve bearing: -10°C to + 70°C , Ball bearing: -30°C to + 75° C 5. MOTOR: 2P 1 Φ Shaded Pole Type Motor 6. DIELECTRIC STRENGTH: 1500 VAC for 1 minute 7. INSULATION: Class E 8. INSULATION RESISTANCE: 10 MEG Ohms Min. @500 VDC 9. SAFETY: Impedance Protected 10. Please refer to : http://www.activa.com.tw/products?language=en&sub_page=3&prod_id=125&cat_id=3&item_index = Applications:Power Supply UnitsMeasuring InstrumentsElectronic Switch SystemsAutomatic Vending MachinesAir-conditioning & Heating ApparatusComputers(CPU, Peripheral & Terminal Equipment)Medical EquipmentAcoustic EquipmentFlight InstrumentationNumerical Control(NC)UnitsData Communications Terminal EquipmentOffice Machinery Appliances & Copying Machines Additional Special Function:1.The output of 3rd wire Signal-Rotation Detector Function:Suffix basic part number with “-RD” or “RRD” for Rotation Detector Function.2.The output of 3rd wire Signal-Frequency Generator Function:Suffix basic part number with “-FG” for Frequency Generator Function. 3.The output of 3rd wire Signal- PWM Control (Pulse Width Modulation) Function: Controls the fan speed automatically via an external input signal.4.Suffix basic part number with“-PWM”for F PWM Control Function.